The performance space of the artist stands for openness; that of the state, for confinement. Art breaks down barriers between people; the state erects them. . . Art yearns for maximum physical, social, and spiritual space for human action. The state tries demarcation, limitation and control. 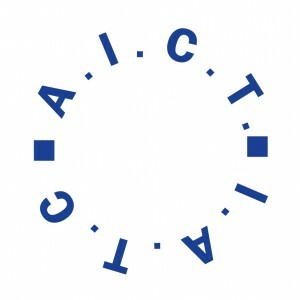 This essay is intended as a brief engagement in the dialectics within the relationships and interactions between politics and theatre—two compelling phenomena in life realities bound by dissembling, appearances, simulation and verisimilitudes, space use; words that weigh heavily with us as human beings in various stages of reality and illusion. We are dealing with the dialectics of what is, what seems, and this continues to generate intrigue within political matters and theatrical experiences, making the crossroads of experience between the two difficult to navigate in their mutual inextricability. There are, thus, long established scenarios; politics exists in theatre and there is constantly observable theatre in politics. As the above epigrams connote, at this crossroads there is a constant struggle for performance space—at the literal and ideological levels. At this crossroads is born the whole battle between the artist and the state; between politics, theatre and the theatrical. The Nigerian experience is not dissimilar from experiences the world over. There is politics in theatre, from script to staging; issues of ideology (thematic concerns from conflict generation to its resolutions), material and human management, and so on. Similarly, partisan politics involves a great deal of theatricality—platform actions, simulation, persuasion, suspense and so on. A classical example of the power of the word, of oratorical and rhetorical strategy deployed, almost unparalleled in human recollection, is Mark Anthony’s speech at the graveside of Julius Caesar in Shakespeare’s eponymous play—its intended mobilization and conscientization, moving the masses with emotion, bathos, pathos and empathy to mass/mob action against the conspirators who killed Caesar. 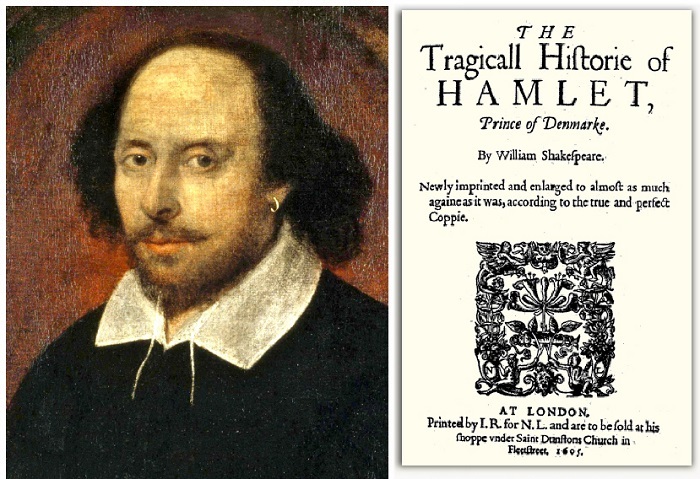 We confront this dialectical relationship starkly in Shakespeare’s Hamlet, especially in the staging of the perfidious and treacherous acts of betrayal by Prince Hamlet’s uncle, Claudius, the “new” king. Hamlet represents on stage both the murder of his father by Claudius and his uncle’s subsequent marriage to his mother, Gertrude. The impact on the target, the couple, is instant; they storm off the stage. Acting is life and life is acting these events seem to connote. Here, we invoke political actors in representing partisan politics in Nigeria—we refer to those acts of deception which politicians “stage” as they proceed to renege on all the promises of their election campaigns through eloquence, theatrical posturing and so on. Hence, politics and theatre exist in veritable symbiosis, each taking the mechanics, praxis, forms, language and structure of the word for actualization and fulfillment. We also capture the power of the theatre in practice for social mobilization, such as political theatre, democratic theatre, community theatre, political theatricians, theatrical politics, etc. In the military era under Ibrahim Babangida (1985-1994), there was an acute recognition of the power of the theatre as a political weapon of indoctrination and populist influence. 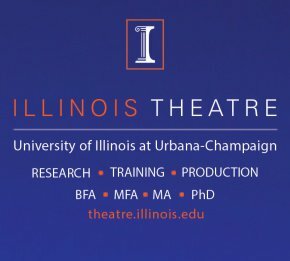 What of theatre criticism, which is the umbilical cord that binds all of us scholars in this profession together? 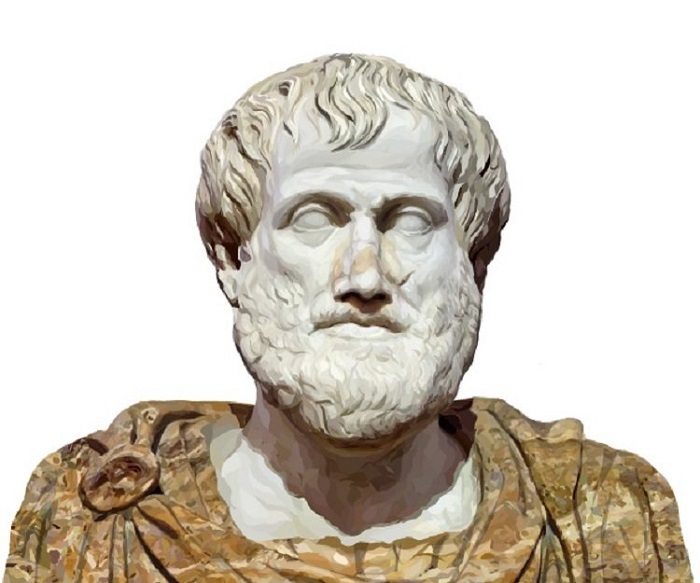 The art of interpreting works of art, taking the liberty to offer meanings and evaluating plays and performance was first, to conventional knowledge, embarked upon in the West by Aristotle. He was not a playwright, but he offered models which have since been regarded as pristine theories and criticism of the theatre; especially theories on and criticism of tragedy, which is considered in the Greek and western traditions as the most serious form of drama. Theories, invariably, are the tools that critics deploy as guidelines for textual evaluation, interpretation and judgment. We may, therefore, surmise that Aristotle was both the first theorist and critic of Western drama. 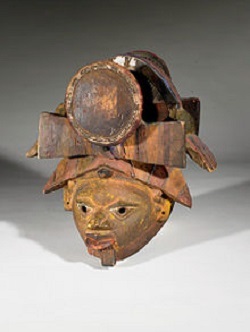 In African drama and performance, there were pre-western theoretical and critical forms. The critics of African drama had/have been the audience, which we refer to as a participatory audience because they were also at once creators, dramatists and performers. The story on the stage arena is communal property. At any stage of performance, the performer/audience is at the liberty to critique the performance—halt the process and offer robust or slight/passing criticism. In the oral performance mode, the critical aesthetics revolves around narration, inter-narration and re-narration on the basis of participatory theatrical engagement. We will not engage in theoretical issues here. What we will do is look at the various forms of political theatre in Nigeria and their uses by theatre practitioners and dramatists from the pre-independence period to the present. Precolonial, festival theatre, the theatre of cultural nationalism and anti-colonial struggle through the stage, protest theatre of the first generation Nigerian dramatists and the theatre of political engagement/radical theatre of the second generation, including the recent theatre tradition of performances addressing contemporary issues aimed at raising mass and community awareness and consciousness toward social transformation as well as providing radical, popular and reformist alternatives to the decadent governance by the state. The indigenous festival oral performances express themselves politically in their subtle and unequivocal denunciations of devious, deviant, unethical and immoral conduct of society, both from the high place—the traditional institutions, Obas, Obis, Emirs and chiefs, religious chieftains in their shrines—and individual political actors/captains of industry. The performances in the courts of traditional institutions have their entertainment purposes laced with satirical butts and moral and didactic messages to check excesses in the use of power. Vices such as stealing, vagrancy, idleness and other such untoward conducts are denounced and corrected. In the Masquerade traditions, we find such biting criticism in the songs and dances of the Masques. The Isale-Eko, Lagos Gelede Masque, for instance, has the Efe, a phase of social commentary and diatribe satirizing deplorable and deviant acts in society as perpetrated by the high and low in society. 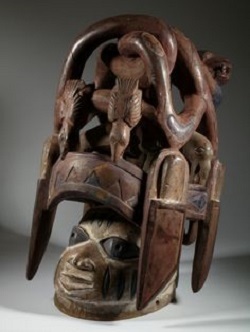 Other theatrical forms with such social regulatory duties abound all over Nigeria—the Yoruba Etiyeri, the Hausa Bori, even as a spirit medium art, the Okebadan of Ibadan, the Tiv Kwagh-hir—and all have political roles to play. These have been carried to contemporary theatre practice in post-independence, postcolonial Nigerian society. The Traveling theatres of Ogunde from the forties and, later, Duro Ladipo, Moses Olaiya, Ade Afolayan and more than two hundred companies have themes that are overtly political. The plays of Hubert Ogunde, such as Crime and Punishment, Garden of Eden and Strike and Hunger (1945) carry unbridled and uninhibited criticisms of the colonial governments, their taxation and other oppressive strategies of governance. But we must not forget that even this theatre had as its source and inspiration, in both aesthetic/technical and ideological/political terms, the fused tradition of the indigenous Alarinjo masquerade itinerant performance and the church-groomed open air opera (which was largely entertainment and profit-motivated); this tradition played a significant activist role in the anti-colonial struggle in Nigeria. Strike and Hunger, in particular, was staged with a sympathetic identification with the 1945 General Strike of workers led by the late Michael Imoudu against the colonial authorities in Nigeria, which marked the beginning of robust trade unionism as a political weapon in Nigeria. Later, in post-independence Nigeria, some of Ogunde’s plays also served as the cultural arm—as instrument of cultural nationalism—to the growing political nationalism of the independence struggle. 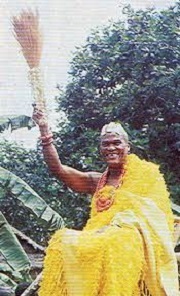 In the post-independence era, Ogunde’s plays, Yoruba Ronu in particular, made scathing, politically scathing denunciations of the rigged elections in the West; elections which were a part of the escalating political crisis in the West of the country in 1962 and 1964, and which snowballed into the collapse of the First Republic, the military coups of January 1966, the coup of July 1966 and the cataclysmic events which ended in the Nigerian Civil War of 1967-70. 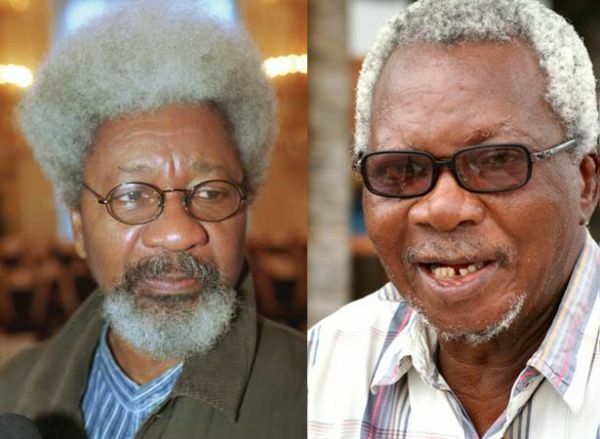 Some of these instances of political theatre are not known to the younger generation, who are not exposed to Nigeria’s theatre before the literary theatre era of James Henshaw, Wole Soyinka and Pepper Clark. Such a generation (and audiences beyond Nigeria), who may have read views held by otherwise truly radical theatre scholars like Etherton (1982) regarding the conservatism of the Ogunde-type folk theatre, should read the works of Biodun Jeyifo (1979, 1985), Karin Barber (1986), Ebun Clark (1979) and Obafemi (1981, 1996 and 2001) affirming the populism and social relevance of the folk operatic theatre. Barber states eloquently this position when she writes that “[t]he plays open a window to popular consciousness that is unique in its detail and clarity. They reveal in a heightened and concentrated form the anxieties, preoccupations and convictions that underpin ordinary people’s daily experience” (Barber 5-6). As I have suggested above, the drama of the first generation of dramatists in Nigeria had two overlapping phases: one could be regarded as the phase of theatres of cultural nationalism, the second as the emergence of a consciously ideological and political theatre. Heralded by Ene Henshaw’s pre-independence plays, such as This is Our Chance, Medicine for Love (plays of cultural affirmation, revealing a phase about the culture clash between indigenous traditions and foreign, western values and civilization), the first phase is characterized by the profound and sophisticated dramas of Wole Soyinka and J. P. Clark, which are rooted essentially in the Yoruba and Ijo traditions respectively, but also involve a conscious grasp of the western dramatic canons with which their theatres are richly suffused and syncretized. Soyinka’s early plays emerged with his live theatre engagements/companies manifest in his The 1960 Masks and Orisun Theatre Company. We should also emphasize the staging of the plays of Soyinka and Clark, and their criticism from the Mbari Club in Ibadan from where both of them shared literary experiences with numerous other scholars and writers such as Ulli Beier—the founder of the journal Black Orpheus (1957), “the first cultural journal of Anglophone Africa” (Jeyifo)—Achebe, Okigbo and so on. Clark also founded his own theatre, the PEC Repertory, along with his wife and theatre scholar, Professor Ebun Clark. The theatre of commitment to radical ideology and political aesthetics is the brainchild of dramatists, critics and ideologues of the second generation of Nigerian theatre, led mainly by Femi Osofisan, Kole Omotoso, Bode Sowande, Olu Obafemi, Segun Oyekunle, Tunde Fatunde, Harry Hagher—and, later, Tess Onwueme, Stella Oyedepo, Ben Tomoloju, Ahmed Yerima, Sam Ukala. This radical theatre, expectedly, deals with topical and political contemporary issues, intent upon raising popular/mass consciousness toward positive social transformation along materialist/socialist lines. 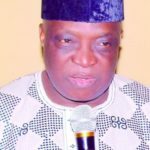 A third generation of political theatre dramatists and critics has emerged from the nineties with the unstructured, principal leadership of Ayakoroma, Ododo, Dandaura, Bakare, Akinwale and so on. Unlike the preceding generation, there is political consciousness without a focused ideological direction, as yet. This does not make the drama less qualitative aesthetically. There are diverse political themes. For instance, Ododo’s Hard Choice addresses, quite graphically, the themes of culture, politics, accountability and leadership sacrifice in post-colonial African drama. Yerima, the most prolific bridge between this generation and the one before, treats in his plays themes of history, politics, metaphysics and religion, with appreciable political commitment, and Dandaura’s Venom for Venom explores the turbulent, insurgent militancy of the Niger Delta region. In the Nigerian theatre criticism landscape it is very difficult, if not impossible, to extricate theatre criticism from creativity, both on the level of dramatic text and performance. The first solid coinages of critical and theoretical canons of the Nigerian theatre came from Clark’s Aspects of the Nigerian Theatre (1962), Soyinka’s From a Common Backcloth and Toward a True Theatre (1962), long before the seminal study Myth, Literature and the African World (1976). This history of Nigerian theatre scholarship must not be misconstrued as ignoring the landmark, grounding works of the first generation of theatre critics which include Eldred Durosimi Jones (The Writing of Wole Soyinka, 1973), Martin Banham (African Theatre Today, 1976), Gerald Moore (Wole Soyinka, 1978), Oyin Ogunba and Abiola Irele (editors of Theatre in Africa, 1976) and the many other contributors to the early phase of the development of Nigerian theatre criticism. From the early eighties, the criticism of the Nigerian theatre became preoccupied with revolutionary dialectics. 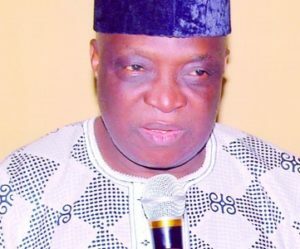 I refer specifically to the radical ideological ferment that characterized the theatre of the second generation dramatists in Nigeria, from the second half of the seventies through the eighties and the early nineties. Many of the dramatists were themselves literary scholars and public intellectuals who formed a critical part of the body of radical and revolutionary discourse which sought an alternative transformative vision for society—an ideological departure from the liberal humanism of the Soyinka-Clark theatrical outlook of the sixties and seventies. These dramatic creators (we must add the texts of the radical scholar Biodun Jeyifo and of poet Niyi Osundare to this corpus) are themselves in the business of literary and dramatic criticism, seeking apt and appropriate aesthetic canons for the drama and theatre of the left. The search for critical tools for the discourse of revolutionary, materialist dialectics for Nigerian drama took firm root in the eighties. The essays of Niyi Osundare, Olu Obafemi, Biodun Jeyifo and Yemi Ogunbiyi laid the foundations of radical criticism for the Nigerian theatre. This was built upon by the theatre theories of Sam Ukala (folkism), Steve Abbah (community theatre), Sunday Ododo (Facequearde) and others. These have since become a critical theatre tradition which has continued beyond the considerable weakening of the leftist school and through the emergence of a succeeding generation of theatre artists/critics who have reverted to reformist/restorative options and tactics. We have also to be mindful of the growth of a generation of female theatre critics of this generation whose works have largely broadened our perspectives of gender politics as portrayed in the theatre. Irene-Agunloye, Foluke Ogunleye, Mabel Ivwearhoma, Osita Ezewanebe and others are central to the critics’ mediation in feminist theatre in Nigeria. Nigerian theatre critics have been/are faced with the challenge of mediating the battle for the performance space between theatre creators and state actors, from pre-independence political and cultural struggles to the postcolonial, neocolonial present. In this essay we have considered the inter-textuality of artistic/theatrical creation and criticism of it in the social construction of the postcolonial state. Adedeji, Joel. “The Traditional Yoruba Travelling Theatre.” Theatre in Africa. Ed. O. Ogunba and A. Irele. Ibadan: University of Ibadan Press. 1978. Banham, Martin, and Clive, W. African Theatre Today. London: Pitman. 1976. Beier, Ulli. Introduction to African Literature. Evanston: Northwestern University Press. 1967. Booth, James. Writers and Politics in Nigeria. London: Holder and Stoughton. 1981. Clark, J. P. “Aspects of Nigerian Drama.” Drama and Theatre in Nigeria: A Critical Source Book. Ed. 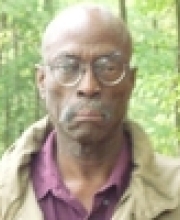 Yemi Ogunbiyi. Lagos: Nigeria Magazine. 1981. Clark, Ebun. Hubert Ogunde: The Making of Nigerian Theatre. London: Oxford University Press. 1979. Etherton, Michael. The Development of African Drama. London: Hutchinson University Library for Africa. 1982. Gibbs, James. Critical Perspectives on Wole Soyinka. London: Heinemann. 1980. Jeyifo, Biodun. “Literary Drama and the Search for a Popular Theatre in Nigeria.” Drama and Theatre in Nigeria: A Critical Source Book. Ed. 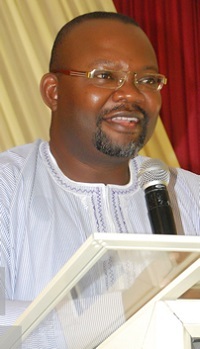 Yemi Ogunbiyi. Lagos: Nigeria Magazine. 1981. —. The Yoruba Travelling Theatre. Lagos: Nigeria Magazine. 1984. —. The Truthful Lie: Essays in Sociology of African Drama. London: New Beacon. 1985. Jones, Eldred. The Writing of Wole Soyinka. London: Heinemann. 1973. King, Bruce. Introduction to Nigerian Literature. New York: Africana Publishing. 1972. Lindfors, Bernth. “The Early Writings of Wole Soyinka.” Critical perspectives on Wole Soyinka. Ed. James Gibbs. Washington, DC, Three Continents. 1980. 19-44. Moore, Gerald. Wole Soyinka. London: Evans. 1978. Obafemi, Olu. “Revolutionary Aesthetics in Recent Nigerian Theatre.” African Literature Today 12 (1982): 118-36. Ogunba, O, and Irele, A. eds. Theatre in Africa. Ibadan: University of Ibadan Press. 1978. Ogunbiyi, Yemi. Drama and Theatre in Nigeria: A Critical Source Book. 1981. Osundare, Niyi. 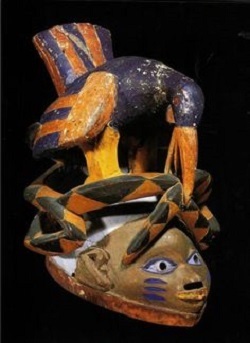 “Social Message of a Nigerian Dramatist.” West Africa 3262 (1980): 147-50. 1980. Soyinka, Wole. Myth, Literature and the African World. Cambridge: Cambridge University Press. 1976. 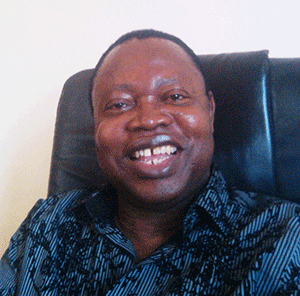 *Olu Obafemi is Professor of English and Dramatic Literature at the University of Ilorin. 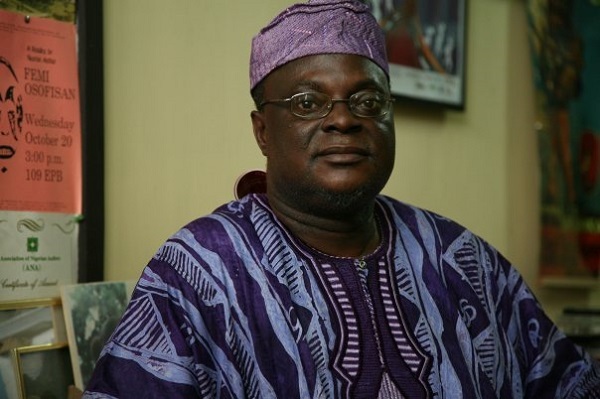 A prolific playwright, novelist, poet, literary and theatre scholar, Professor Olu Obafemi has published fourteen scholarly books, fifteen creative books and over sixty journal articles, including the landmark study on Nigerian theatre: Contemporary Nigerian Theatre: Cultural Heritage and Social Vision (1996).